Valencia needs one more win to be crowned EuroCup champion. 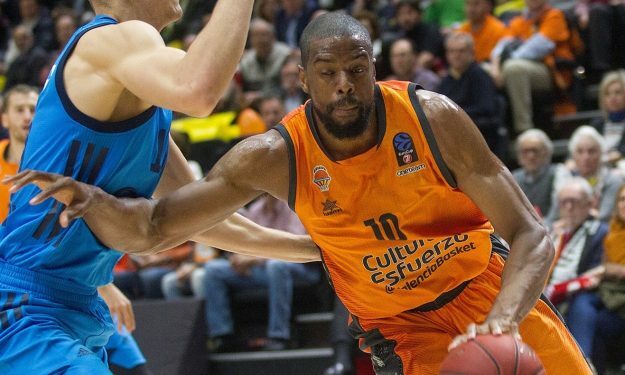 Valencia beat Alba Berlin 89 – 75 in Game 1 of the EuroCup Finals. The Spanish team now has the upper hand in the best-of-three series while Game 2 (April 12) in Germany is a “do-or-die” situation for Alba. Will Thomas scored 22 points and grabbed six rebounds for the winning side. Matt Thomas added 16 points while Sam Van Rossom had 15 points and seven assists for a Valencia squad that finished the third period 30 – 15 to lead 71 – 53 with ten minutes left. They were on their way of capturing what became a convincing win. Valencia controlled the rebounds, grabbing 42 against its opponents’ 24. The “Taronja” scored 24 second-chance points thanks to their 14 offensive boards. Peyton Siva (17 points, seven assists) and Martin Hermannsson (16 points) were the only Alba players in double figures. The German team recovered from a 23-13 deficit early in the first period to close the gap at three at halftime, 41 – 38. But they got overwhelmed in the third quarter by a quite powerful Valencia offense and never recovered enough to become competitive. The EuroCup winner will receive a spot in the 2019-2020 EuroLeague.